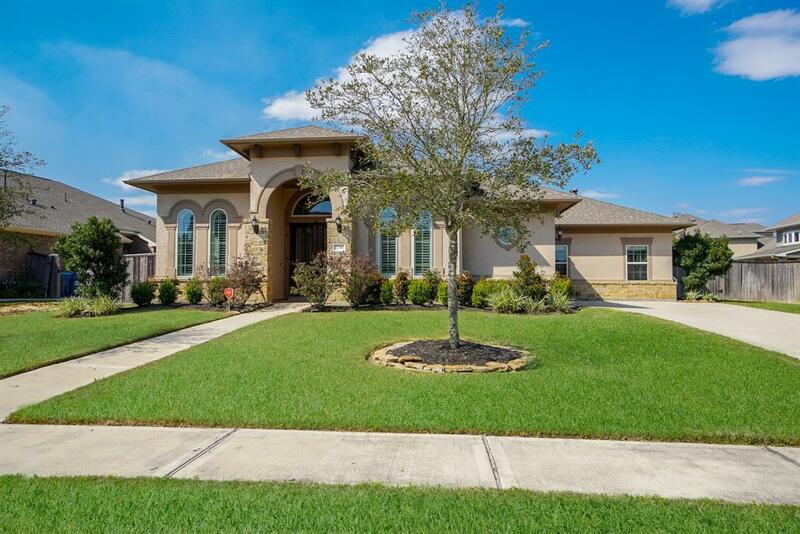 This spacious One-story home with a pool, is located in Katy's premier gated community Avalon at Spring Green. Immaculate condition. This open concept floor plan has soaring ceiling, 4 bedroom, 3 bathroom, family room and sun-room. The gorgeous master room has cozy sitting area, luxurious bath with jetted tub and separate glass shower. The heart of the home is in kitchen and this kitchen is definitely made for gathering with its huge center island, stainless steel appliances, custom cabinets, double oven and wine cooler refrigerator. 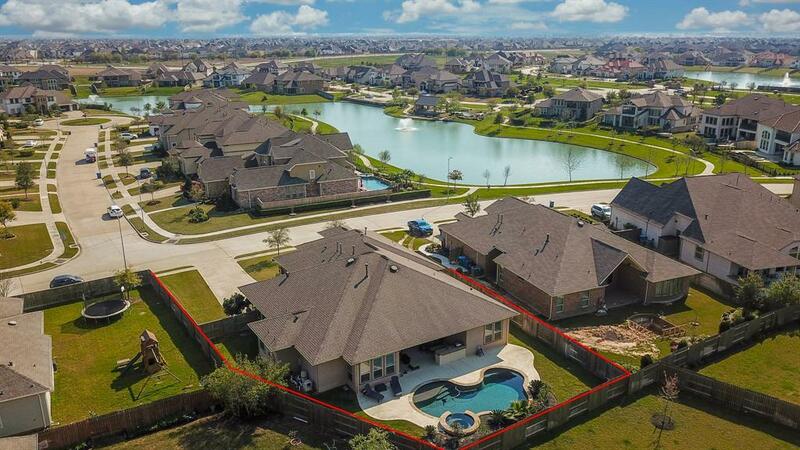 Amazing back yard with a cover patio, outdoor kitchen and beautiful pool/spa.There has been many upgrades including water treatment and softener system, wood shutters, roller shades in the living room and dining room. Fully functional cabinets in the garage. Easy access to I-10, shopping Mall & dining. 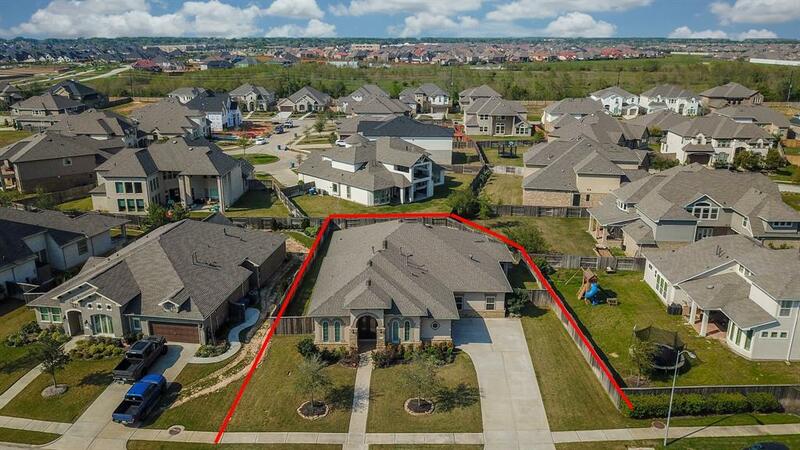 Zoned to acclaimed Katy ISD schools. Your dream home awaits! 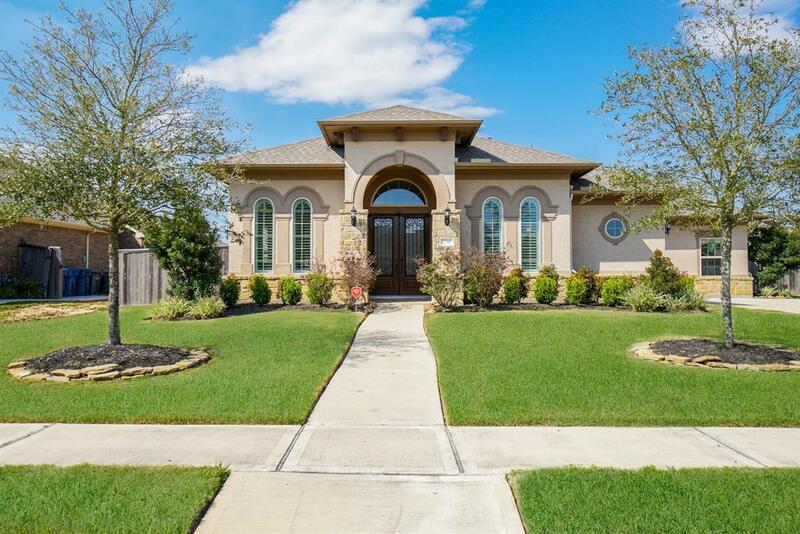 Listing courtesy of Correa Properties.